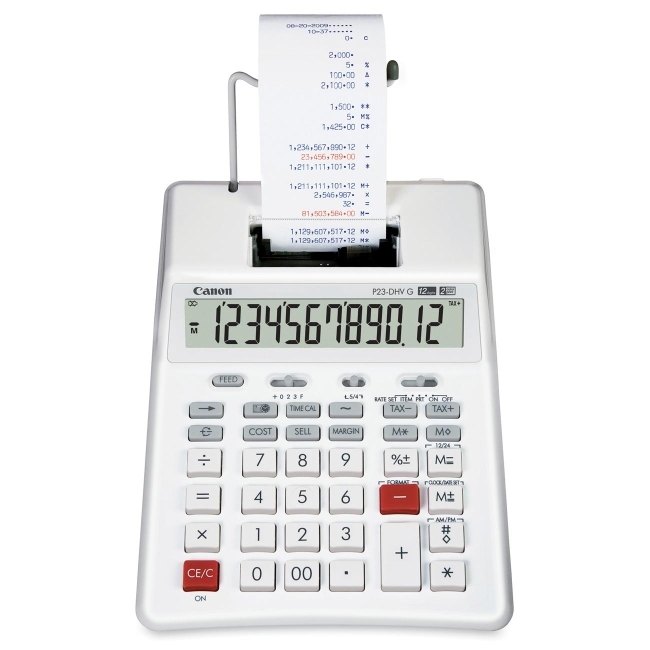 Palm Printing Calculator features a lower casing made from 100 percent post-consumer recycled plastic. 12-digit calculator prints 2.3 lines per second in two colours with positive numbers in purple and negative in red. Time Calculation lets you calculate time-based fee structures, while profit margin and tax calculation can be calculated with the touch of a few keys. 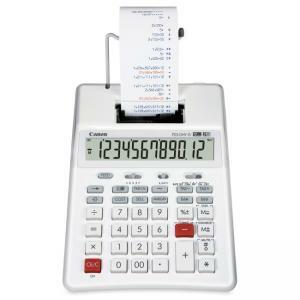 Functions include clock, calendar, tax calculations, sign change, item count, cost/sell/margin, memory and round off/down. Decimal point system includes 0, 2, 3, and floating positions. Calculator runs on AC power with included adapter or battery with four AA batteries (sold separately) and shuts off automatically after seven minutes of nonuse. 1 lb. calculator also features a battery strength indicator.